“Potato (Solanum tuberosum) originated some 8,000 years ago in high-altitude tropical areas of Peru, where a staggering 5,500 cultivated varieties have been developed by generations of farmers. Taken by the Spanish to Europe in the 16th century, the tuber quickly adapted to northern growing conditions and soon became a staple food at a time of rapid population growth. From Europe it spread further across the globe: today potatoes are grown on an estimated 180,000 sq km of farmland, ranging from China’s Yunnan plateau and the subtropical lowlands of India, to Java’s equatorial highlands and the steppes of the Ukraine. Potatoes are also crucial to the food security of hundreds of millions of people in the developing world, where annual consumption has risen from 9 kg/capita in 1961-63 to around 21kg today. While potato output has declined in Europe, growth is so strong in developing countries – notably China and India – that global production has nearly doubled over the last 20 years. Since the early 1960s, FAO says, the increase in the production area dedicated to potatoes in the developing world has outstripped that of all other food commodities, and by 2020 demand for potato is expected to be double that of 1993. Under temperate and subtropical conditions, an irrigated crop of about 120 days can yield from 25 to 35 tonnes/ha of fresh tubers, while farmers in the tropics can harvest between 15 and 25 tonnes within 90 days of planting. “Based on the FAO Statistics, the total consumption of sweet potato in CARICOM was estimated at about 31,000 tonnes, estimated from production values less extra-regional exports. The major consuming countries were Jamaica (20,379 tonnes) and Barbados (2,369 tonnes). In the non-CARICOM countries, an estimated 599,379 tonnes were consumed annually. Cuba and Haiti represented the largest market in the Caribbean at a consumption of 389,613 tonnes and 176,000 tonnes respectively. Per capita consumption in the Caribbean ranges from “very high” at greater than 20 kg per capita for Cuba, Haiti and Dominica, to “very low” at less than 2 kg per capita for Belize, Trinidad & Tobago and Puerto Rico. We note that the USA has an embargo against all imports of Sweet Potato to the mainland from CARICOM countries on account of SPS concerns. Nonetheless we review the USA situation to get an insight into that market given that it is an exporter of Sweet Potato and therefore could potentially enter the CARICOM market as a competitor. Sweet potato is commonly referred to as yams in the USA. “During the period 1994-96, Mexico imported 31,000 tons, Cuba imported 32,000 tons, Trinidad & Tobago 29,000 tons and Venezuela 72,000 tons annually of “table and seed potatoes”. During that period, Belize imported less than 5,000 tons annually. In that same period, Mexico’s percentage of potato imports were 25% fresh, 39% frozen, 18% chips and 18% other. According to FAO, in 2012 Belize planted 85 hectares of irish potato, producing 2,300,000 pounds with a yield of 135,294 hectograms per hectare, ranking 110 in the world in terms of yield. That same year, it planted 3 hectares of sweet potato, producing 80,000 pounds with a yield of 133,333 hectograms per hectare, ranking 28 in the world in terms of yield. We are obviously more competitive in the world in sweet potato production than we are in irish potato production. The price of sweet potato in Belize currently is $2.50/pound, while the price of irish potato is $1.50/pound….all of which are locally produced. When irish potato is imported, it sells for $1.00 – $1.25/pound. This means that the local production is being subsidized by protection from import competition through licensing arrangements of Belize’s agricultural policy. 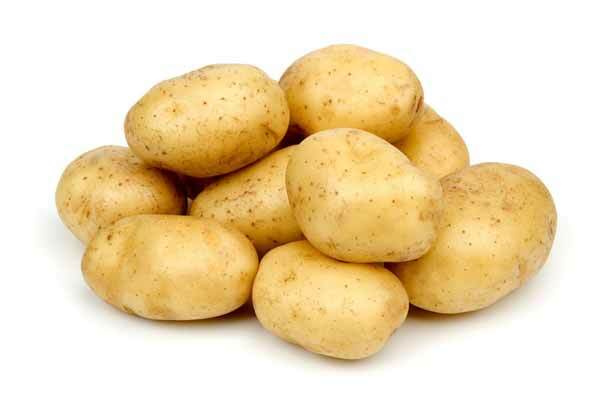 Belize’s strategy for potato has been based on import substitution of irish potato….with an initiative to introduce Irish potato production within the country during the period November to March when the climatic conditions are most suitable. This production is fully protected by government policy, which limits importation of potato during this production window. Belize’s strategy for potato needs to be enhanced. It should be more ambitious, and take in considerations for exploiting opportunities for sweet potato as a substitute for irish potato. 1. Improving the agronomics of sweet potato farming, so that sweet potato can be produced efficiently and effectively….and so that the price of sweet potato be consistent year-round at $1.00/pound. Note that sweet potato can be produced year-round, while irish potato can only be produced between November and March. The Taiwan technical mission had done a lot of work on this, so am sure this knowledge is already available and may need to be put into a tech-pak for farmers to use. The current price of sweet potato reflects a poor strategic choice of small-volume production and super-normal profit-margin per unit. The aim should be to increase Belize’s sweet potato consumption to 15 kg per capita within five years, which would increase domestic demand to around 12,000,000 pounds per annum….which if sold wholesale at $0.75/pound would bring $9,000,000 to these villages….they would be rich. 2. Improving the organization of sweet potato farming….preferably in clusters, in the north, central and southern regions to benefit from the varying longitudinal production dynamics and proximity to markets. Six large villages (two adjacent villages in each region) can become rich by focusing on meeting the entire domestic market demand. 3. Active agricultural marketing….advertising and promotion of the use of sweet potato in restaurants for potato wedges as a substitute for frozen potato fries. This is baked, instead of fried, and the much more healthy benefits need to be more valued by chefs and consumers. The tourism industry would gladly cooperate, especially if #1 is achieved. Active TV advertising should continuously promote sweet potato consumption by households…in soups, in stews, in fries, mashed potato, baked potato, desserts, etc. 4. Value adding – by producing sweet potato wedges and packaging in a form for easy distribution to restaurants. Also by developing sweet potato flour suitable for making pastries like sweet potato pudding and “mashed” potato…..and by developing sweet potato chips as a snack.